Wiltshire has a long history of traditional food and drink. Wiltshire bacon has long been famous. Rumour has it that the name, Swindon, is derived from Swine-toun, or pig farm. Tradition states that local resources offered a diet to Wiltshire pigs that gave their flesh special flavour. This is supposed to be acorns from the plentiful oak forests nearby or imported molasses. In its heyday, Wiltshire in the 19th century had a far superior cheese-making heritage than Somerset although cheese-making died out almost completely after the 2nd World War. But today both counties have some great complementary food producers. Today, however, there are many food producers and artisans who supply the county with fantastic food, from bread to cakes to pies and cured meats. Lovett Pies has a popular regional following, with the owners claiming that the pies are meticulously designed with well-balanced fillings encased in homemade shortcrust pastry. The ingredients are all sourced to bring out the very best flavours, with recipes such as beef, bellringer ale and Bath blue cheese to puy lentil, Welsh rarebit and kale. Vegetarian options include sweet potato, goats cheese, squash, spinach and plum chutney. 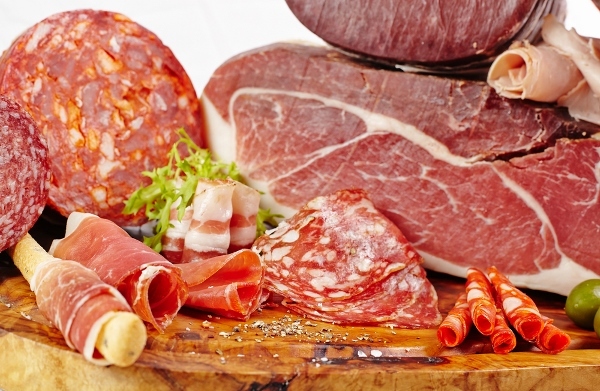 The Somerset Charcuterie uses traditional artisan methods with a Somerset twist with owners, Andy and James having been hobby charcutiers for several years. Over a pint of cider at a local lawn-mower race, the idea for a quality British Charcuterie business was conceived. Today, the friends have a range of products that follow traditional Spanish, French and Italian methods but are adapted to the British market. Everything is handmade to preserve the artisan texture, flavours and look. White Row Farm’s motto is ‘from crop to shop’. This farm deli stocks cheeses such as Bath soft cheese, Wyfe of Bath, Cheddar Gorge cheese, Bath blue, sheep’s milk cheese, organic cheese, goats cheese, quince jelly, Snowdonia cheese, Wookey Hole Cave aged cheddar. It also stocks meats and cured meats such as sliced White Row ham, chorizos, cured sausages and homemade terrines. Finally, if you are looking for a pickle, then look no further than Wiltshire’s Rosie’s Relish and Pickle. We all like a bit of relish to accompany our pies and cheese and Rosie has a range of interesting flavours that perfectly suit any food. All chutneys, pickles, relish and preserves are all handmade in small batches using traditional and innovative recipes. Bread and Butter Pickle comprises sliced cucumber and onion in a spiced vinegar, delicious when added to a salad or sandwich and suitable for vegans. Look out for AC Services next blog on local food producers in our region to help catering businesses with local sourcing and ideas.